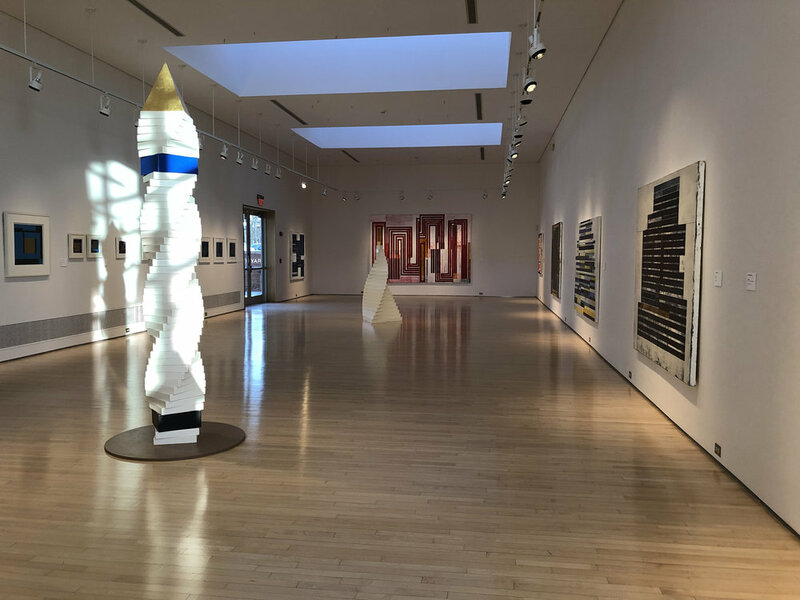 This extraordinary exhibition features the work of Michael Cochran and Lloyd Martin, both of whom are represented by Jessica Hagen Fine Art + Design and will be on display until February 21st. We encourage you to visit the show and invite you to read about it here. 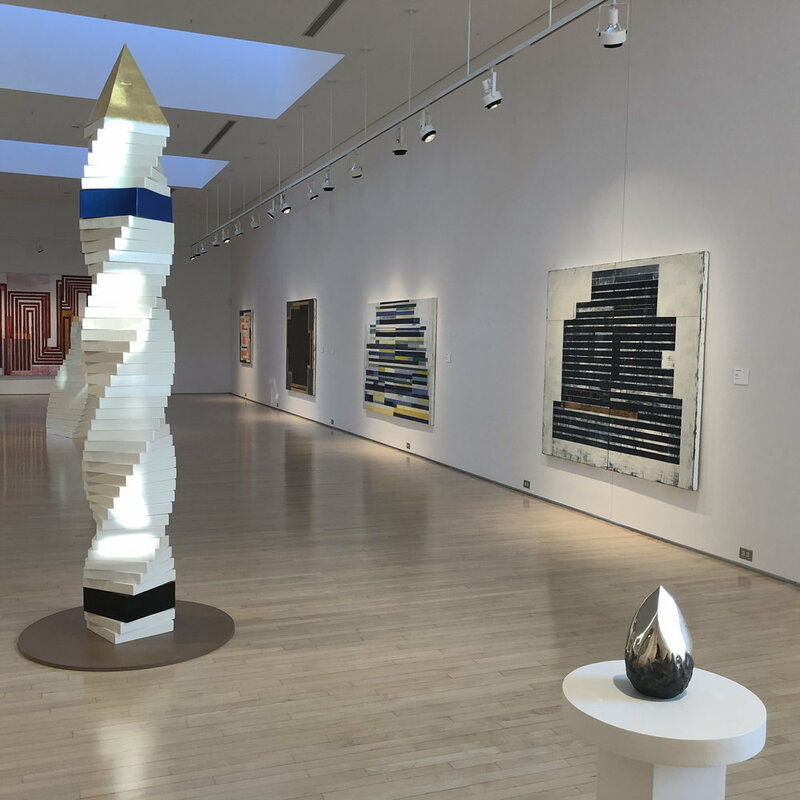 If you would like information about any of the paintings and sculptures pictured here or would like more information about either artist, please contact the gallery. 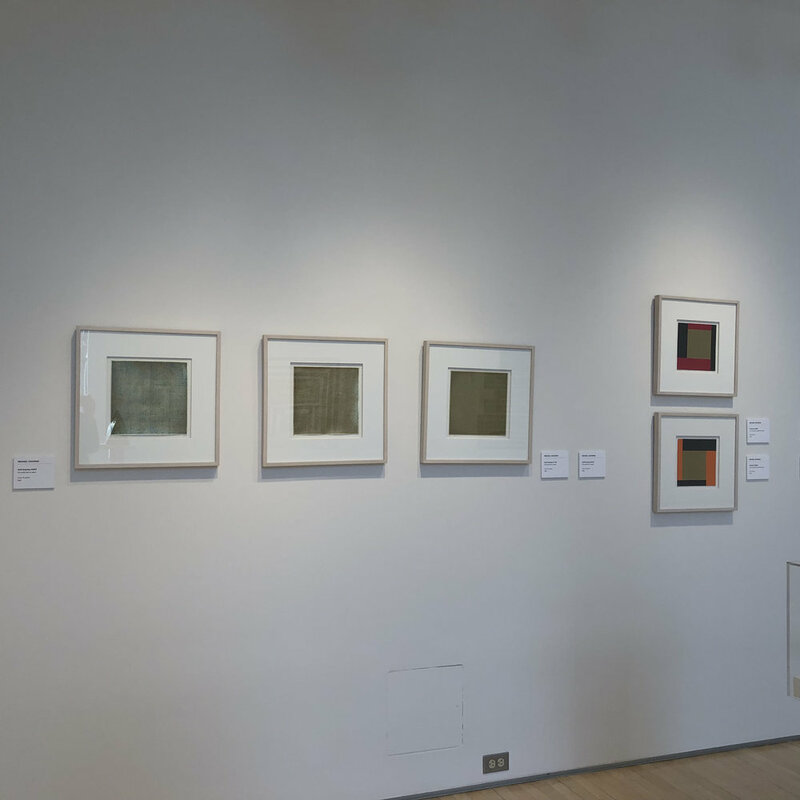 The work within this exhibition portrays a dialogue that is characteristic and emblematical of ourselves and our culture: the rational and the emotional. Lloyd Martin and Michael Cochran both strive to create a harmonious balance between expression and structural form in their work, although approaching this balance from slightly different references. Geometry, mark-making, color and expressive brush strokes are all part of the technical vocabulary of this dialogue to create rhythm and strive for a visual balance. 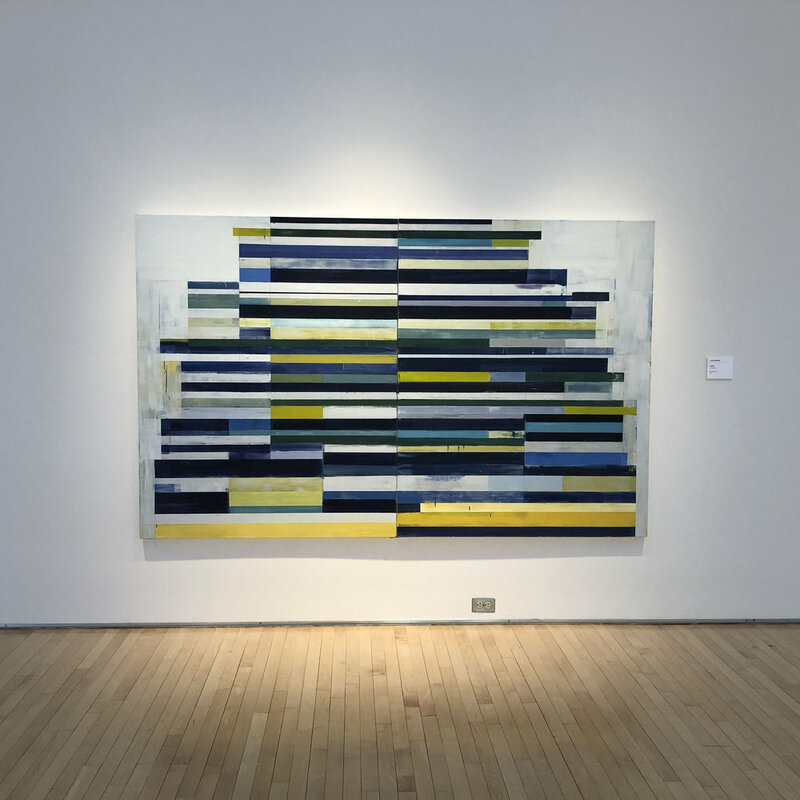 Lloyd Martin uses the grid to establish a format for the language of geometric forms where expressive painting events can take place. Color relationships, brush strokes and mark-making all exist in this artifice. His compositions, that refer to architecture, are the result of intuitive placement and his reactions to the gestalt during this “act” of painting. The structural order of these compositional environments is altered and transformed by the gesture and emotion within these micro-moments. Movement and rhythm then become products of those bold and sometimes delicate gestures. The ongoing dialogue between the overall structure and the rhythm within each micro-portal establishes a dynamic balance. 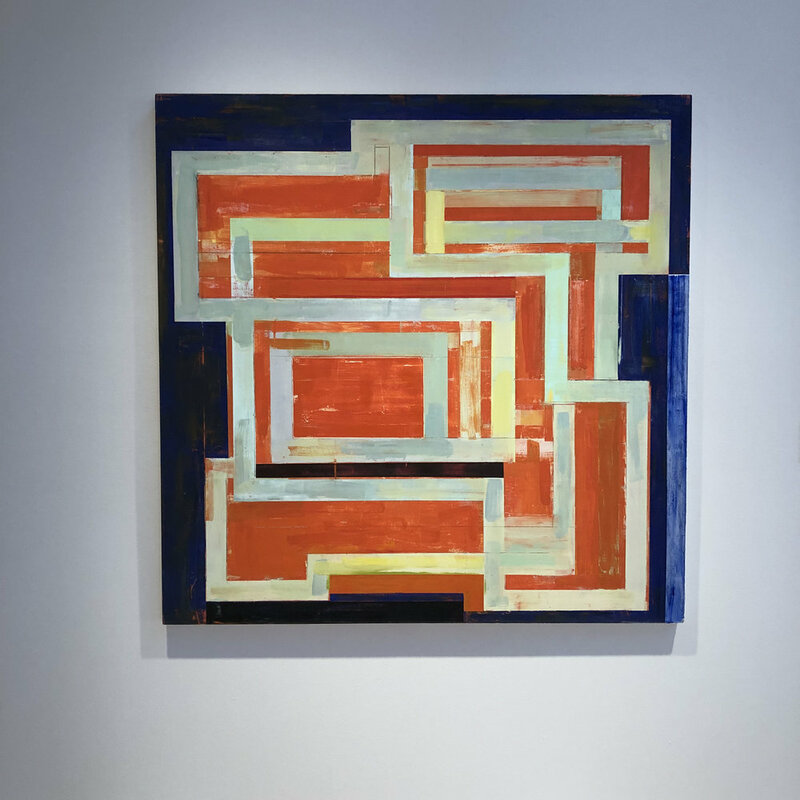 Michael Cochran’s work draws upon ancient architectural references like Sumerian ziggurats, Egyptian obelisks and the tile patterns from other historical monuments and buildings throughout the world. He strives to bring those historical forms and patterns into the present by altering their structures and interjecting color and gold from ancient time periods. It becomes a play between time and place and like Martin, the structure of architectural form and the emotion of color. 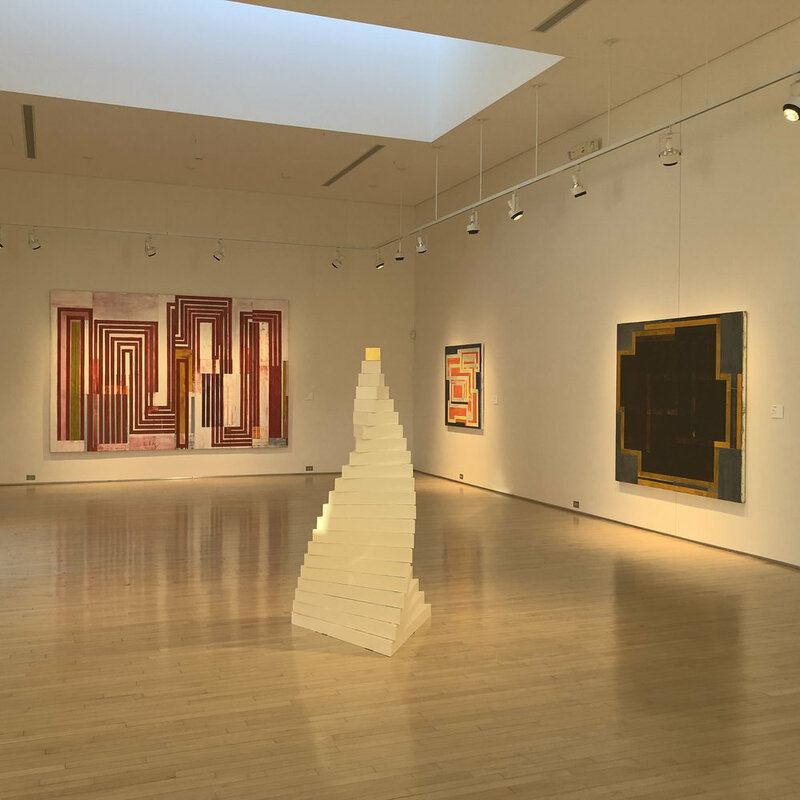 Regarding the use of gold in Cochran’s work, it is a universally timeless and esoteric material that becomes a personal portal for the viewer, and a subjective symbol of situation and place, value and spirituality. Utilized and valued by both ancient and contemporary cultures, it has been an active element of his work since 1982. Posted on February 15, 2019 by pamelab.